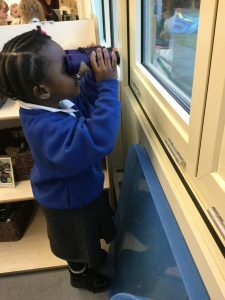 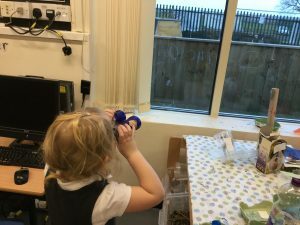 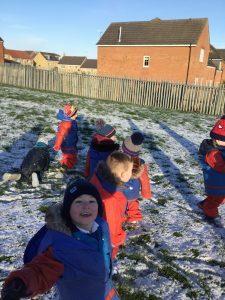 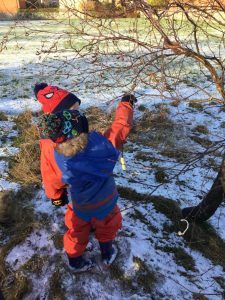 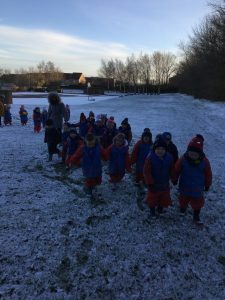 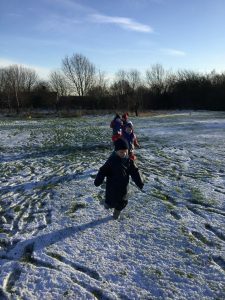 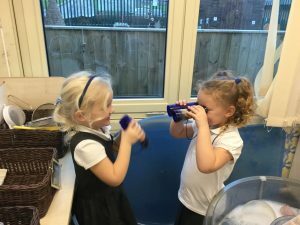 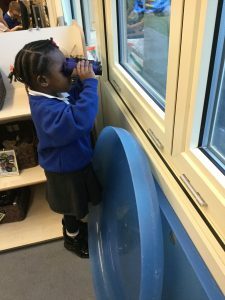 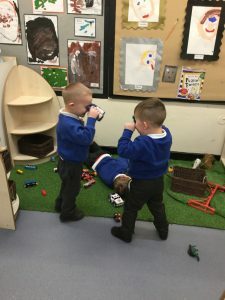 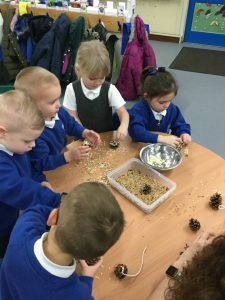 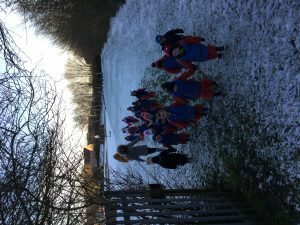 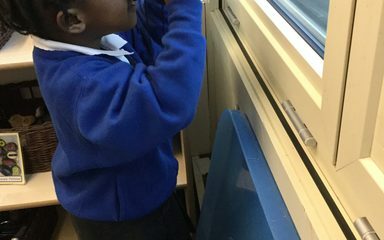 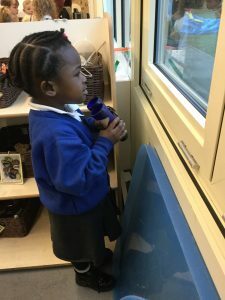 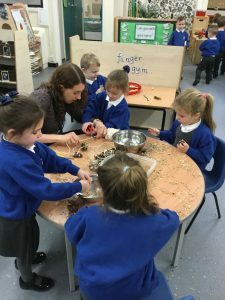 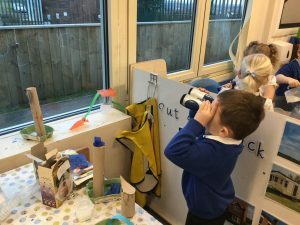 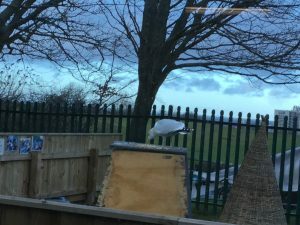 As the weather turns colder we have been learning about feeding the birds as well as identifying common Winter birds. 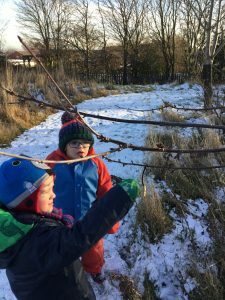 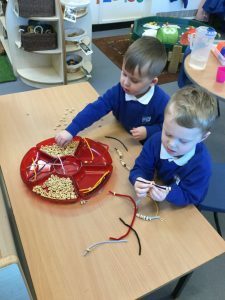 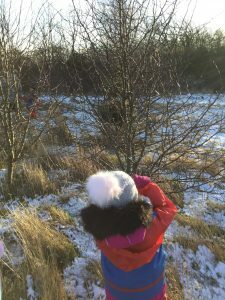 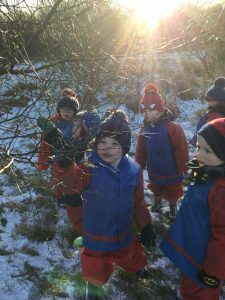 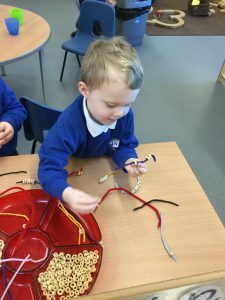 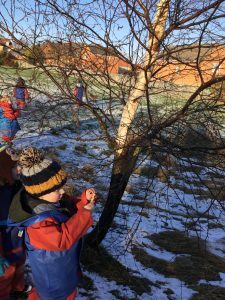 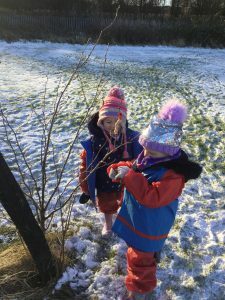 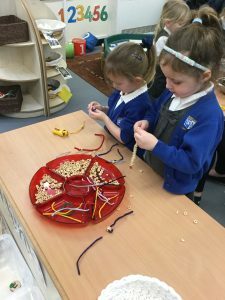 During Forest School this morning we went on a bird hunt and attached some of the feeders that we have made this week. 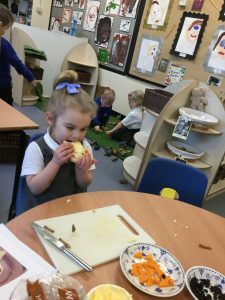 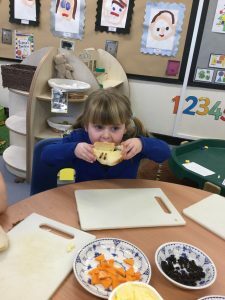 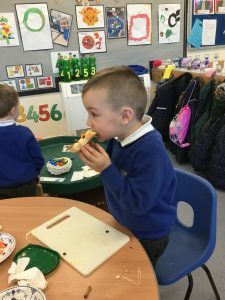 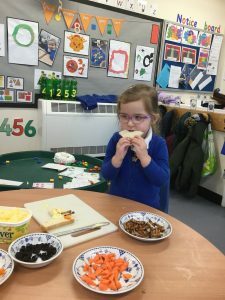 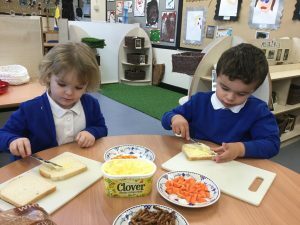 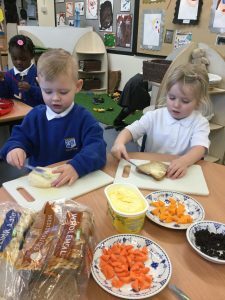 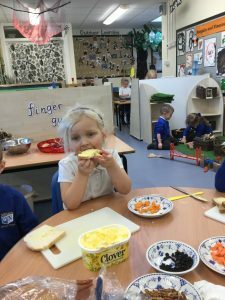 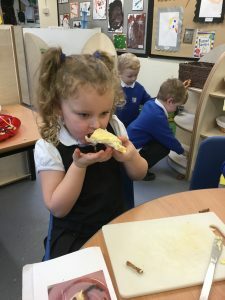 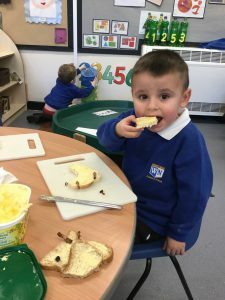 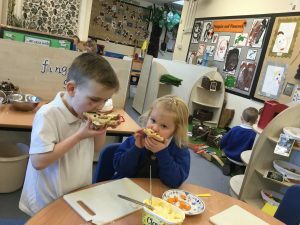 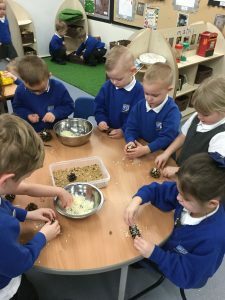 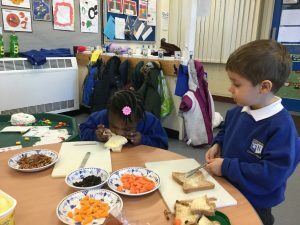 We also made a delicious snack which resembled a bird using; bread, butter, cheese, raisins and Twiglets.